Take breaks from sipping by getting outdoors. Napa Valley is loaded with great hiking trails, perfect for working up a sweat, watching wildlife and gazing at hot air balloons as they float up, up and away. Napa Valley gained fame for its world-class wine, but more and more, wine is having to share the spotlight on dining tables throughout wine country. A fancy meal can cost you a small fortune, but good food doesn’t have to be fancy or empty your wallet. 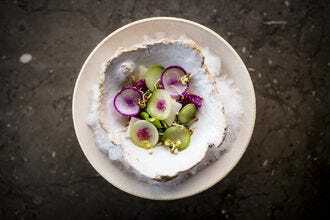 Some of Napa Valley’s best restaurants don’t come with white tablecloths. In fact, some of them don’t even technically have tables. The Bruschetteria Food Truck draws a crowd when it’s parked alongside the Velo Vino tasting room. At Buster’s Southern Barbeque in Calistoga, combination plates come with many types of meat and require many napkins. 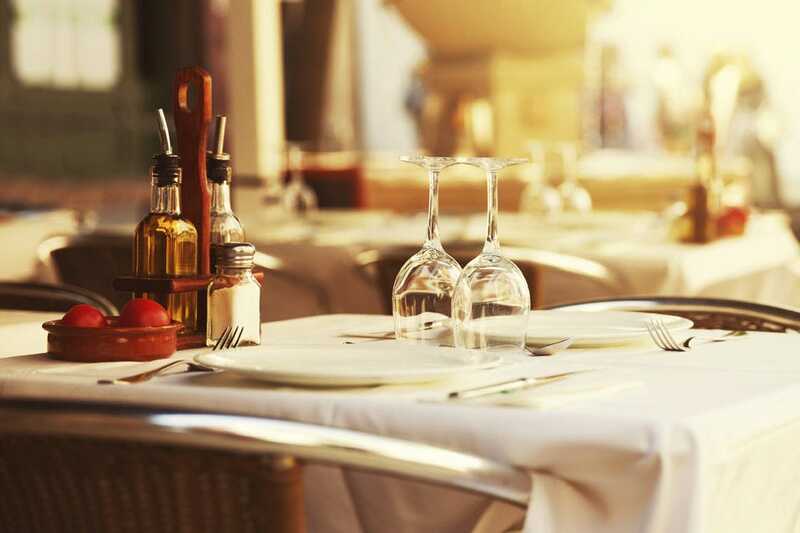 Napa Valley’s best value restaurants come in a variety of flavors and sizes. Some restaurants produce the makings for a perfect picnic, others include table service, and some can be enjoyed to go. From burgers and tacos to pie and milkshakes, forget the diet and grab a menu. 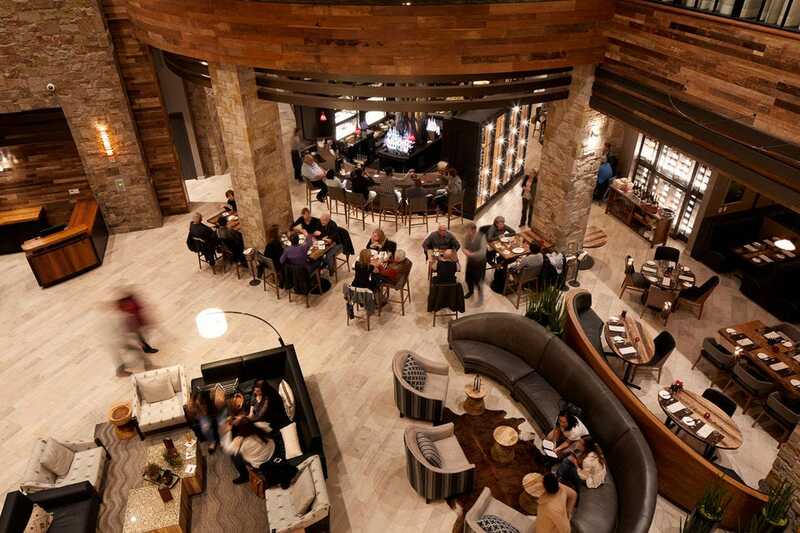 Located on the ground floor of the Archer Hotel Napa, Charlie Palmer Steak Napa is not a place that typically comes to mind when you think of dining on a budget. But do a little digging into the lunch menu and your wallet will be pleasantly surprised. Monday through Saturday, Charlie Palmer Steak Napa offers what it calls The Daily Meal. 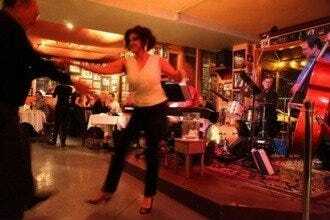 The three-course meal comes with a glass of wine (red or white) and is just $25. The menu changes weekly, but options might include a spinach salad with bacon vinaigrette, grilled flank steak with Brussels sprouts, sweet potato, and red wine jus. If you still have room for dessert, the Meyer lemon cornmeal cake is served with buttermilk ice cream and berries. 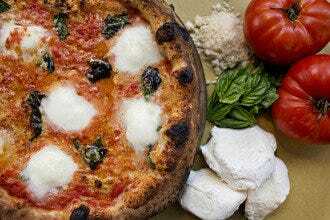 Located in downtown Napa, walking distance from just about everything, Ca' Momi Is a favorite with locals and visitors alike. Technically part of its Italian Happy Hour, the PMS special is available nightly from 5 pm to 7 pm, and again from 9 pm until close. (The timing makes it perfect if you're starving after a busy day of wine tasting and want to eat asap, or are in need a nap before heading out on the town.) 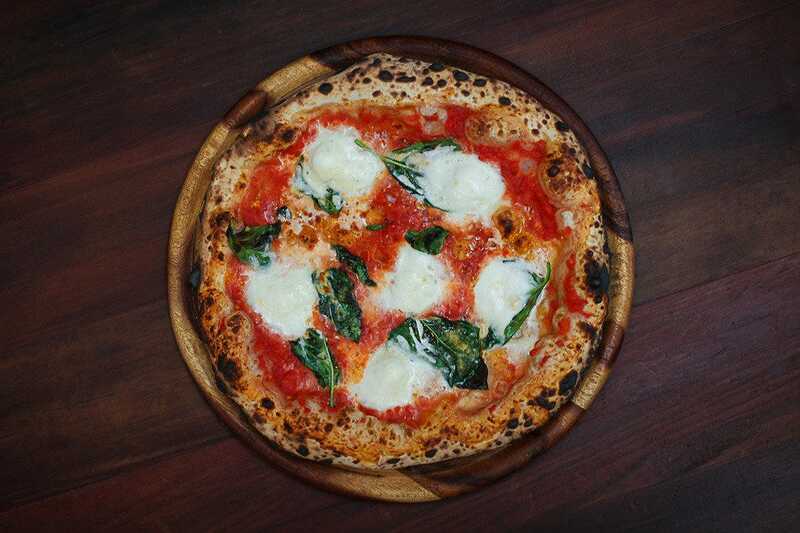 For just $15 diners get a pint of Ca' Momi Organic Beer, a Margherita pizza with organic basil, organic san Marzano dop tomatoes and mozzarella di bufala, and a spritz. (A spritz is an Italian aperitif, often with Prosecco.) Additional drinks, including Ca' Momi Winery Bianco & Rosso di Ca' Momi Wines, are also just $5 each. Belly up to the bar at Napa Palisades Saloon, and you won't be disappointed. With more than 30 taps focused on Northern California microbrews, having a beer is a given. The menu has a knack for making your stomach grumble, serving reinvented old favorites. Chorizo Fries are served loaded with extras like cotija cheese, sour cream and cilantro. For a twist on a Reuben, consider the Reuben Croquettes. Napa Palisades Saloon's take on pulled pork comes with a free range egg, smoked gouda, and pickled jalapeno. Big screen televisions are plentiful, making the saloon a popular spot to watch sporting events. The kitchen is open late by downtown Napa standards. The menu is served until 11 pm Sunday through Thursday, and midnight on Friday and Saturday nights. Gott's Roadside boasts two locations in Napa Valley. It has the look and feel of an old-school drive-in, with an updated menu that's loaded with dishes to love. Burgers, French fries, and thick milkshakes are a given, but here you can also order up a bowl of chili, chicken tenders, or go for the Mahi Mahi Tacos. Or maybe give a Niman Ranch Fearless Frank Hot Dog topped with pickled jalapeños a try. Good food comes with a casual vibe here, making it a good stopping point for traveling families. You order at the counter, so it's a good spot to consider if you don't have time for a restaurant with table service. Fresh, made-to-order white corn tortillas serve as the base for a unique taco menu that includes options like grilled steak, spiced lamb, grilled garlic prawns, and seasoned ground buffalo. Rotisserie selections include chile crusted chicken and herb crusted duck. Nachos are topped with goat cheese and chipotle aioli for a wine country twist. Small plates include the expected guacamole and chips, but there's also a grilled prawn cocktail, and black beans topped with chorizo and goat cheese. On any given day there's typically a handful of chalkboard specials to make ordering decisions even harder. Located in Oxbow Public Market, C Casa is relaxed and casual. All menu items are gluten-free. 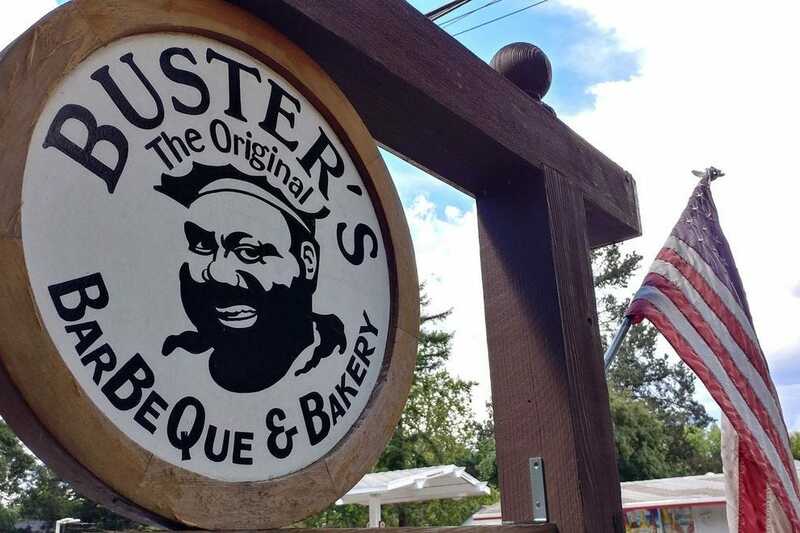 Lunch or dinner, you better be hungry when you pull into the parking lot at Buster's Southern Barbeque in Calistoga. A favorite with locals and wine country visitors, Buster's serves good food in a fun, casual setting. The menu covers all of the traditional Barbeque favorites: Tri-Tip, Pork Loin, Pulled Pork, hot links and even chili dogs. Side dishes include the likes of baked beans, chili beans, coleslaw, potato salad, 3-bean salad and macaroni salad. Combination Plates comes with multiple types of meat, side dishes and garlic bread. Along with being good for sharing, you get to taste more of what the menu has to offer. The inside dining room is air-conditioned, but the outside tables are the place to be. There's nothing fancy about Nation's Giant Hamburgers. Walk in and head straight to the cash register at the counter to place your order. The straightforward menu, hanging above the griddle is big and easy to read. Top your burger with cheese, bacon or chili. If burgers aren't your thing, the menu also boasts grilled cheese, hot dogs, and bacon, lettuce and tomato sandwiches. French fries are tasty on their own, but cheese, chili, or both, are worth thinking about. If you share a burger and fries, you've got a better shot at having room for a slice of pie. A regular slice equals a whopping quarter of a pie. 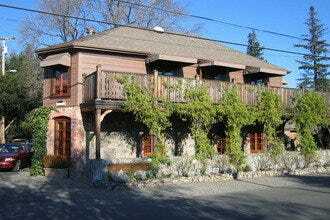 Oakville Grocery offers two wine country locations. One in Oakville (in Napa Valley) and one in Healdsburg. Menus vary by location, but both include plenty of tasty options. In Oakville, the focus is on sandwiches. For breakfast think about the Rutherford Sandwich with Applewood smoked bacon, eggs, cheddar cheese, and mayonnaise served on Ciabatta. But it's hard to say no to the Yountville Sandwich, with Swiss cheese, eggs, ham, and arugula, on an English muffin. Sandwiches are $9 or $10 with drip coffee or tea. At lunch, sandwiches are built with everything from Genoa Salami and cold fried chicken, to avocado and crab cakes. 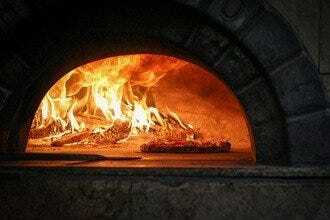 In Healdsburg, more than a dozen types of pizzas and salads are available, in addition to hot and cold sandwiches. Whether you're a food truck fan or have never dined at a restaurant on wheels, the Bruschetteria Food Truck is worth a stop during your time in Napa Valley. It's typically parked alongside the Velo Vino tasting room. (Both are owned by Gary Erickson and Kit Crawford, the husband and wife team behind Clif Bars.) With a Northern Italian-inspired menu, ingredients come from the Clif Family Farm and other local purveyors. The menu changes daily, but there's always a number of bruschetta and salad choices that will make you smile. If you're in a rush, you can take it to go, but the outside patio of the Velo Vino tasting room is hard to pass up. When you're not really sure what you're in the mood for, don't hesitate, just go to Oxbow Public Market in downtown Napa. With an assortment of eateries under one roof, at Oxbow Public Market you'll have multiple menus to choose from, and get excited about. Take a full loop around, before you make a commitment; there are so many delicious options to choose from. Maybe start with oysters from Hog Island Oyster Co, and devour the cream of mushroom soup at Kitchen Door, before finishing with two scoops from Three Twins Ice Cream. Restaurants start opening as early as 7:30 am and some stay open until 9:30 pm. Dana Rebmann moved from San Francisco to Wine Country in search of sunshine. Amazing wine and food was a delightful bonus.